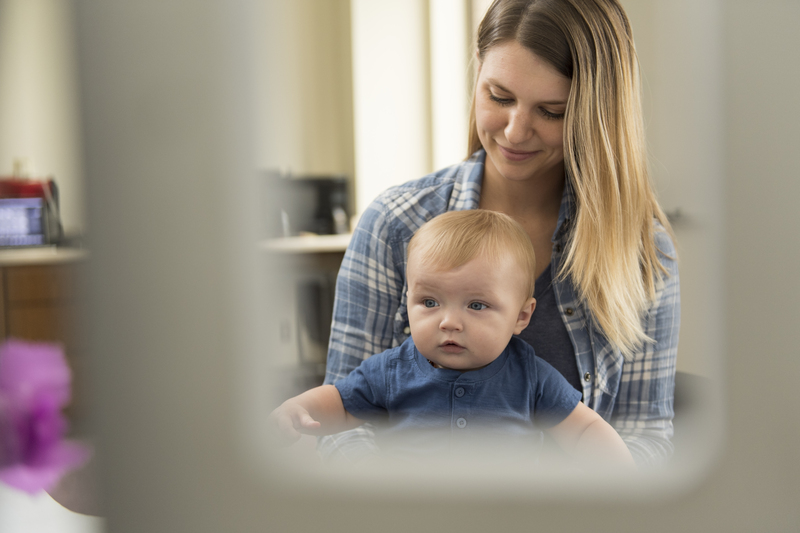 Many factors can influence the development of a baby during pregnancy and after birth, but until recently, researchers knew little about the relationship between an expectant mother’s mental health and the subsequent development of her baby after birth. Findings from a University of Wisconsin–Madison team published Monday, Aug. 27, in the journal JAMA Pediatrics suggest a relationship between a woman’s mental health symptoms and white matter development in her child’s brain at one month after birth. White matter is to the brain what electrical wiring is to a computer — it helps the brain process information quickly and forms connections between areas of the brain important for everything from bodily movements to managing emotions. During pregnancy and in the months after birth, a dramatic reorganization of a baby’s brain takes place as white matter tissue begins self-organizing and laying down pathways for connections between neurons, allowing for speedy communication between brain regions. In the study, researchers worked with roughly 100 expectant mothers who answered questions about their mental health during their third trimester —around 28 weeks and 35 weeks into their pregnancy. Women who participated in the study did not have a current diagnosed mental health disorder, but many experienced a range of depression and anxiety symptoms that are common during pregnancy. One month after women in the study gave birth, scientists used advanced brain imaging tools — including magnetic resonance imaging (MRI) and diffusion tensor imaging (DTI) — to scan the infants’ brains while the babies were napping. In addition to learning that depression and anxiety symptoms were correlated with white matter development, researchers also found that maternal depression and anxiety symptoms affect white matter development differently in male and female infants, perhaps because boys’ white matter can take longer to develop, Dean says. Though the study provides new information about how mental health symptoms of moms affect their babies’ development, researchers warn there may be factors at play that weren’t accounted for in this study, including genetic variables that could be assessed in the future by looking at the same phenomenon in identical and fraternal twin populations. Furthermore, scientists say it would be misguided to stigmatize expectant mothers for experiencing depression and anxiety symptoms during pregnancy, especially given that up to one-fifth of women develop them. So far, the scientific team has finished brain scans for these same children at 2 years of age and will begin to examine how those developmental trajectories play out. Future work, if funded, would enable scientists to track development in these kids for even longer periods of time and determine the impact of mental training exercises during pregnancy on the brain development of infants. Davidson adds that these findings provide a compelling foundation for exploring the impact of interventions to cultivate well-being during pregnancy on babies’ neurodevelopment after birth and later in life. This work was supported by the National Institute of Mental Health, primarily grants P50-MH100031 and R01-MH101504.